I hope this helps. 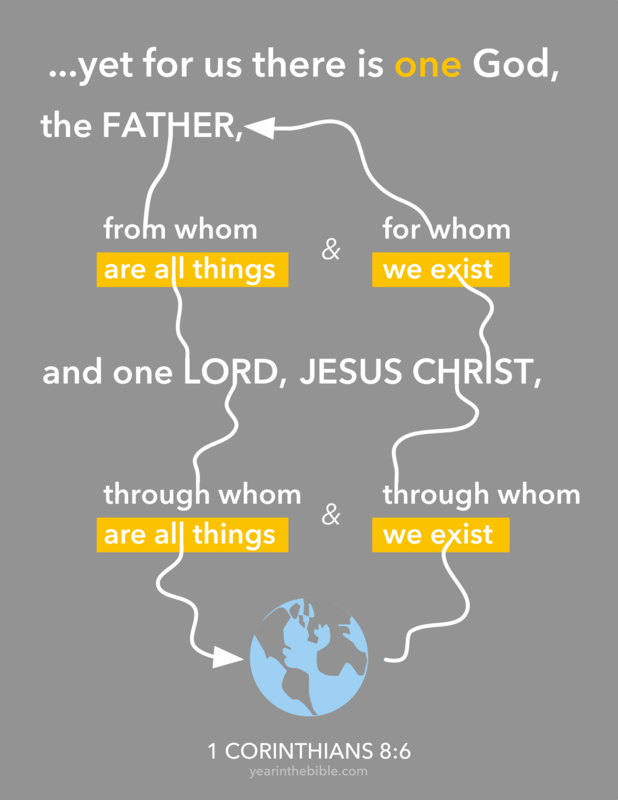 And as you work on memorizing this, think of how startling this would be for people to hear of Jesus Christ as one through whom are all things. Jesus didn’t just enter the scene on Christmas. He is one with the Father, co-eternal and who is before creation. There is a restaurant in Rome which is built around the ruins of an old temple. Two of the pillars are still visible. The restaurant makes a feature of them, and is proud of the ancient origins of the building where they now serve excellent pasta, great local cuisine, and fine Italian wines. Moving into chapter eight we are going from a chapter with 40 verses to one with only thirteen. So again, this reading plan takes a bit of self-direction. How do I best use my time throughout this week to not just check off reading 1 Corinthians, but how do I read it well? How do I study it? How do I pray through it? How do I open myself up to hear what God has to say to me? It’s short so you get creative. I had the opportunity, due to a bit of a road trip today, to listen to 1 Corinthians in the car. I listened starting in the beginning and then went through chapter eight. Then I listened to chapter eight again. (Either to gain more emphasis for our current chapter, or maybe because it is easy to let my mind drift as I try to pay attention to driving.) This is a great way to spend some extra time this week. As I listened I could better detect the themes coming up again and again–words like puffed up and calling jumped out more than they have before. Also, as I went through the chapters I paid close attention to the memory verses, verses that now I can (almost) recite along with the reader of the audio Bible. It was great to be reminded of the context in which these verses fall. If you need help in doing something like this, ie. listening to the Bible, let me know.  There are websites for it such as biblegateway as well as phone apps like the youversion Bible. So, with the shorter chapter, try rereading old chapters, or even listening to them. Also work on memory verses, either as a refresher or for the first time. It’s never too late to start. And if those ideas aren’t enough, you could try writing me (or posting in the comments) some really hard questions about this chapter. I always like a challenge. Maybe your question will work its way into Sunday’s sermon! Condition or Calling in 1 Corinthians 7? To the slave, Paul doesn’t want them to think that their slavery is the condition to which they were called. Don’t equate status to calling. 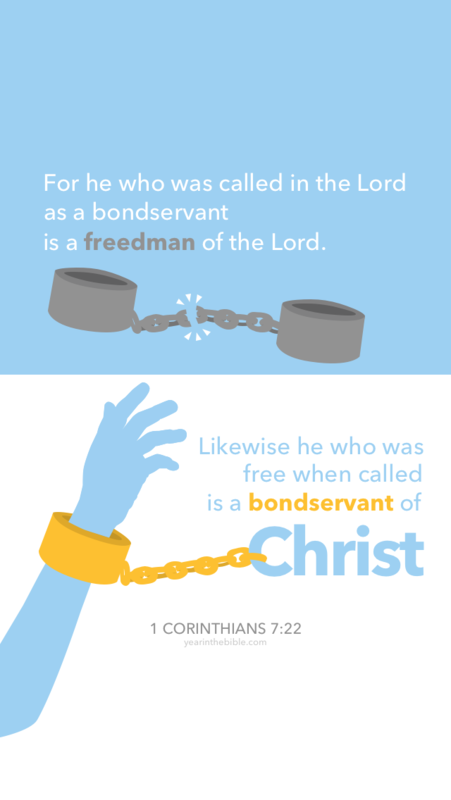 They have a calling to which they were called, and even in slavery it is a calling that can be expressed. It has dawned on me: we claim to be a people “of the Word.” But we read the Bible in chunks that are too little. We read slices of our daily bread, when we ought to digest whole loaves. I’d encourage you to read the whole piece here on Out of Ur. He makes some good points that are very challenging. A hope for this 1 Corinthians plan is that we do read in big chunks, but in a way that adds more each week, slowly increasing the amount. Each week we can read the new chapter (or part of a chapter), but also all that has come before it. If we spend five months reading and re-reading Paul’s letter, we will learn and retain so much of what God has to show us. While it’s always good advice to take notes and write down summaries of what you’ve read, this passage is especially suited for that method of Bible study. First off, chapter seven is a long chapter. With anything that we read, our minds can easily wander even while our eyes continue moving from word to word. If we stop to make notes in the margins or in a journal, we are keeping ourselves accountable to reading in order to understand, not reading to get it done (and out of the way). This chapter also covers lots of different topics and within those topics Paul will go back and forth between his views. 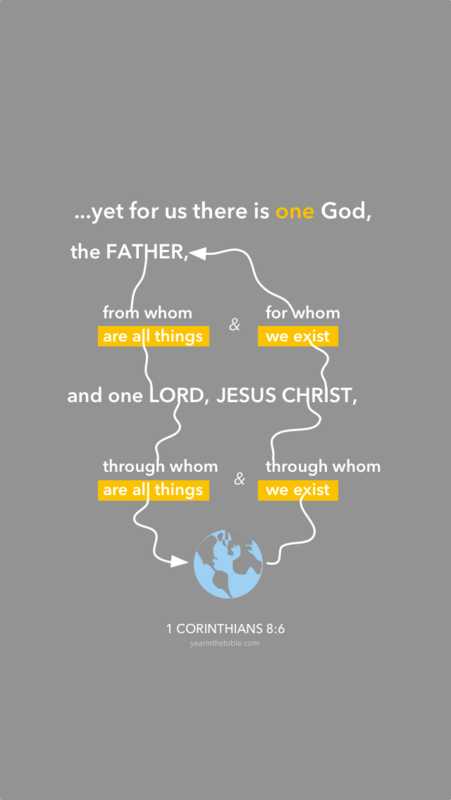 Try to break it down in parts, step back and ask yourself what is he trying to say and how does this fit in the broader themes of 1 Corinthians? If nothing else, this practice will at least reveal the questions you may have and that is the first step to finding some answers. This last week I had multiple conversations about how the language we use tends to reflect the language and words we around–both the speech we hear and text we read. This is all the more reason to devote ourselves to God’s word. We should let it sink deep within us and allow it to then flavor our own speech. Memorization is a wonderful means to accomplish this goal. That being said here is this week’s memory verse for chapter seven.